Retaining customers is a primary goal of any growing business and has become exceedingly challenging in this competitive marketplace. One key strategy for building brand loyalty is to increase your customer’s engagement with the brand. When executed correctly, a mobile app can significantly add value to your product or service whilst providing the opportunity for engagement. It is the user experience of an app, and how valuable this is to customers, that has tied brand loyalty to mobile apps. A comprehensive mobile strategy not only cultivates a stronger brand but can also help retain customers and boost return on investment. Creative and unique mobile apps are helping brands connect and engage with consumers and build loyalty in a crowded marketplace. They have significantly changed the way customers interact with brands, generating true value for both businesses and the consumer. To be successful your app needs to solve a genuine problem for your customers. Consequently, if an app does not live up to the expectations of consumers it can be a significant problem for the brand. However, when successfully integrated with business operations, apps can create a more compelling and satisfying customer experience, resulting in long-lasting relationships. Related Why Do Businesses Need a Mobile App? Mobile strategy has emerged as a top priority for businesses to stay relevant, maintain a competitive edge, and unearth new business and revenue opportunities. Developing a mobile app is a worthy investment for businesses as users of apps are more loyal to the brand compared to those who just visit the website from their mobile device. In fact, mobile apps are used more often, and for longer, than mobile sites (Adobe). 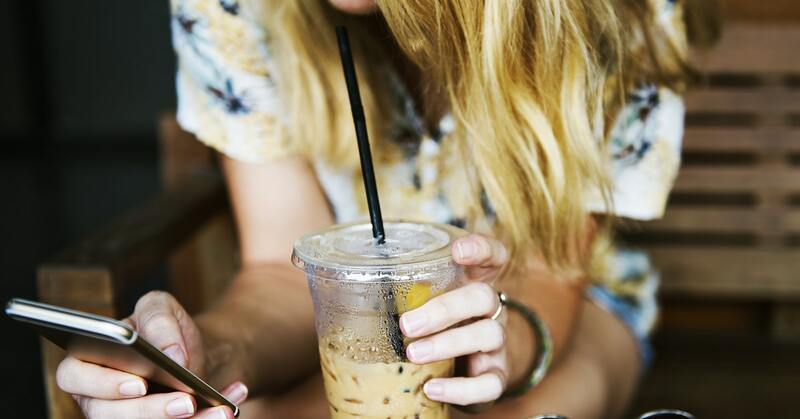 The prolonged nature of app sessions translates into a great opportunity for brands to consolidate customer relationships, taking advantage of users’ high level of engagement. Building brand loyalty is immensely valuable for brands as it is one of the significant driving factors behind sales. Generally, an increase in loyal customers translates directly to an increase in revenue. In fact, repeat customers spend on average 67% more than new customers (Bain). According to a report by FiveStars, an average brand’s loyal customers drive approximately 80% of their total revenue. The most important feature mobile apps offer is the ability to facilitate engagement, which is essential for captivating customers and encouraging loyalty. The potential level of engagement in an app is significant and as such brands that tap into this can easily gain competitive advantage. Therefore, a customer-focused mobile app is the perfect tool for building brand loyalty. Here are a few ways apps can facilitate brand loyalty and encourage brand evangelists. We have all heard it before; content is key. Consumers turn to apps to satisfy specific needs and to receive dedicated and personalised services they cannot find on a website. They want something that is truly engaging, in real time. By offering and delivering content that is personalised to the user, you can build a deeper relationship between your customers and your brand. This will make your app users feel unique, encouraging them to use the app and interact with the brand whilst consolidating a long-lasting relationship. Not only do mobile apps help build a strong relationship with your customers, they also generate data and offer insights into customer preferences and behaviour. Track in-app activity to see the type of content users are most engaged with and leverage this information to refine your sales and marketing efforts. In a world where every good or service seems to be customisable, brands that do not seek to anticipate their customers’ needs will fall behind. Thanks to push notifications, brands are able to reach out to customers in real time and keep them updated on the latest news, product launches, and special deals. By leveraging the insights from app usage behaviour, businesses can continually improve their marketing strategies and deliver more relevant, enticing and successful promotional offers. However, bear in mind that being too intrusive will impact negatively on your brand. For this reason, it is important to have a well thought through strategy for the content and frequency of your notifications. Giving your customers well-timed content that truly adds value will help facilitate brand loyalty, trust and a positive customer experience. In-app customer loyalty programs can help businesses encourage customers to perform certain actions that will grant them a special benefit, such as a discount or coupon for their next purchase. Rewarding users is an easy way to increase customer retention and say “thank you” for their time and money spent engaging with your brand. Another way to encourage loyal customers through an app is to incentivise social sharing and referrals. Loyal customers who advocate a brand not only increase their personal brand loyalty but also recruit their inner circles to become loyal customers. It is important to reward users for their effort when they share their brand experience through social channels or recruit a new user. Mobile devices have revolutionised the way consumers engage with brands, empowering customers to interact with businesses anytime, anywhere. It is now an expectation to be able to easily contact companies, find information and leave feedback. In fact, approximately 47% of customers would take their business to a competitor within a day of experiencing poor customer service (24/7). Mobile apps offer businesses the opportunity to improve their customer service, helping to lock in existing customers and capture new ones. In-app feedback forms are an important strategy for brands to implement so they can offer customers a convenient channel to complain, gather useful feedback on their app, and identify services that need to be improved. Make sure your app works seamlessly and quickly – the modern customer is demanding and doesn’t like to be left waiting. Personalise the experience – gather user profile details to offer a truly personalised and engaging brand experience. Make it intuitive – it is essential that your app has an intuitive and usable interface to minimise any pain points for your users. Reward loyal customers – offering bonuses or discounts for using the app is a simple way to motivate and keep your users engaged. Listen to user feedback – take their opinion into account and thank them for their feedback. If feedback is negative, ask them what changes they would like to see in an updated version of the app. It is now the time to invest in a mobile-first strategy to drive business growth and consolidated brand loyalty. Have you found the right app development platform to execute your mobile strategy? 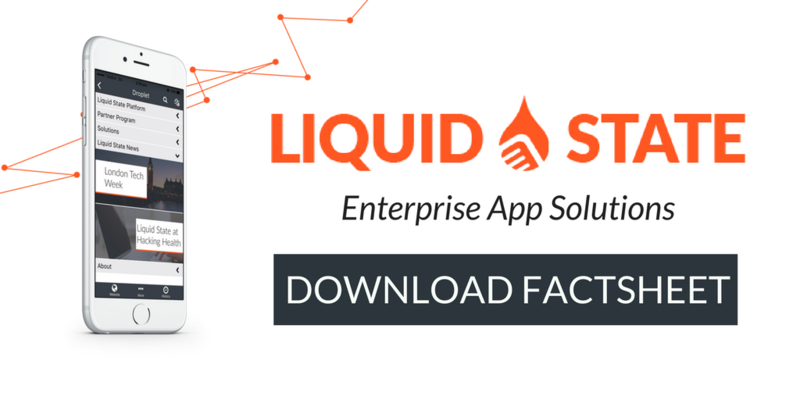 At Liquid State, we understand the importance of implementing enterprise app software as a part of corporate strategy. Our platform empowers businesses to build native code-free apps for a variety of business functions. With Liquid State, you can manage and deliver the right communications to the right people on the right devices. To find out what Liquid State can do for your business, download the factsheet, or get in touch with us today.